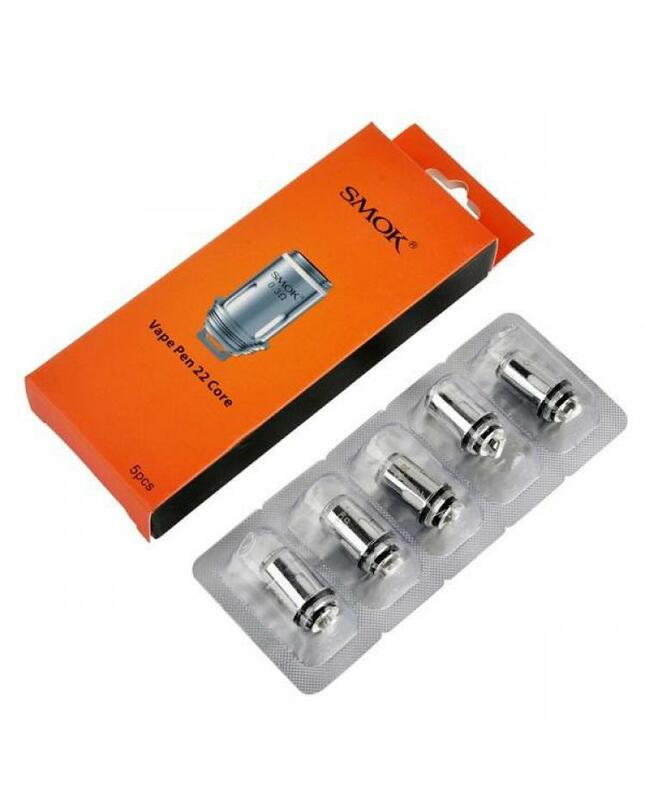 Replacement cores for smok vape pen 22 use only, 5pcs per pack, 0.25ohm, 0.3ohm and 0.4ohm coil heads available. 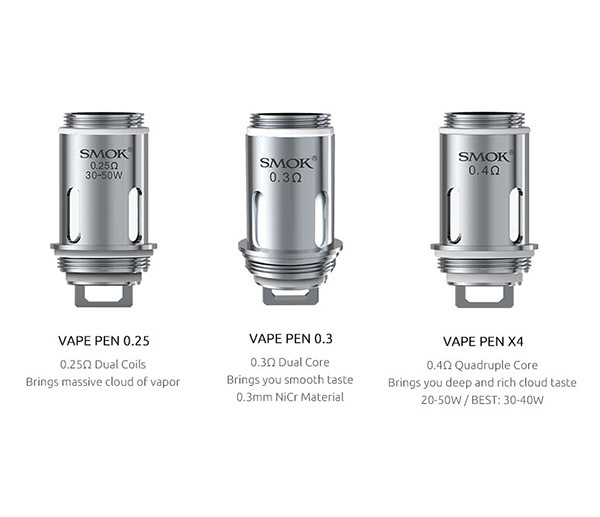 0.25ohm dual smok 22 coils recommend works between 30-50W, brings a massive cloud of vapor. 0.3ohm dual coil, made of 0.3mm NiCr material, brings you smooth taste. 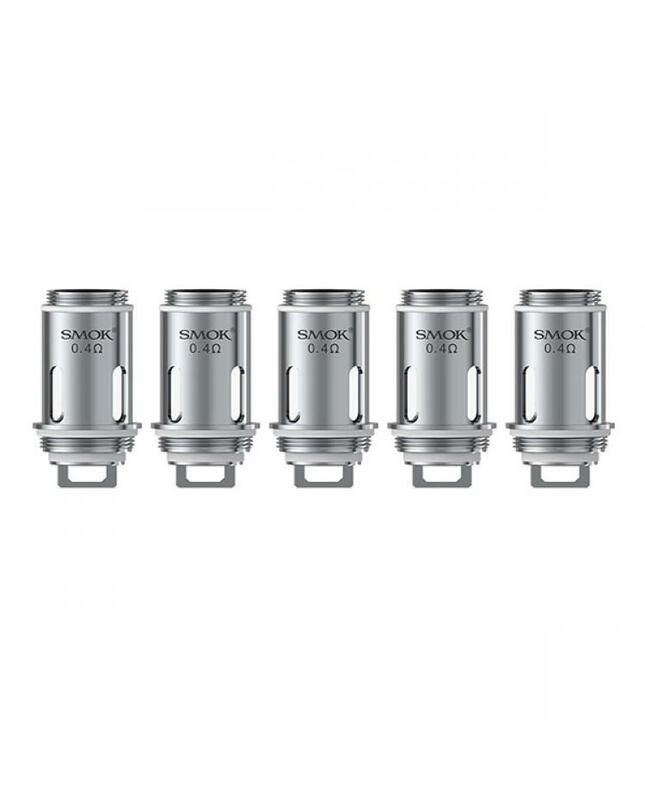 0.4ohm X4 quadruple core brings you deep and rich cloud taste, works between 20-50w, best 30-40w.